Come and see this local favorite play at our taproom from 2-4 pm. Pushing Chain was formed in 2012 by Boyd Blomberg and Adam Moe. 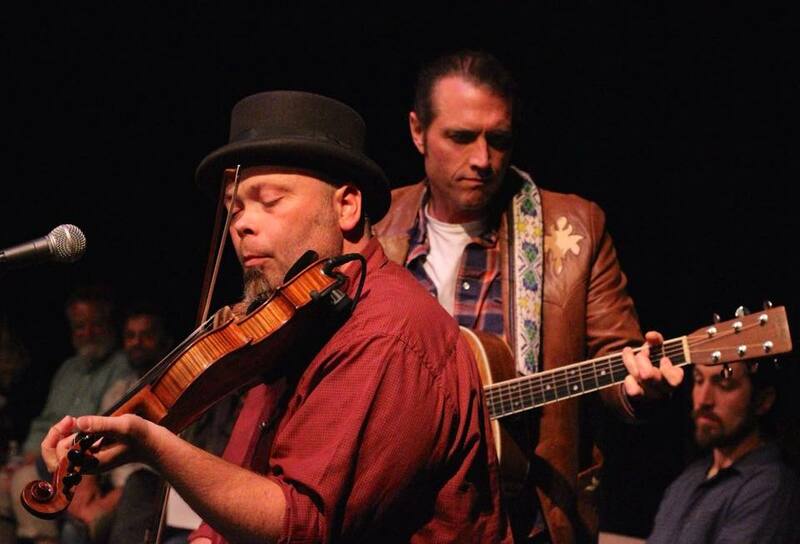 The duo, which has been performing together in various manifestations since 1997, plays roots and Americana music featuring Boyd on guitar and vocals and Adam on the fiddle and vocals. Pushing Chain plays original songs, covers of classic artists like Bob Dylan, Tom Waits, and Nina Simone, and some fresh new takes on old folk songs. The duo also features tight harmonies and a gonzo approach which keeps performances fresh and exciting, even if you’ve seen them before.